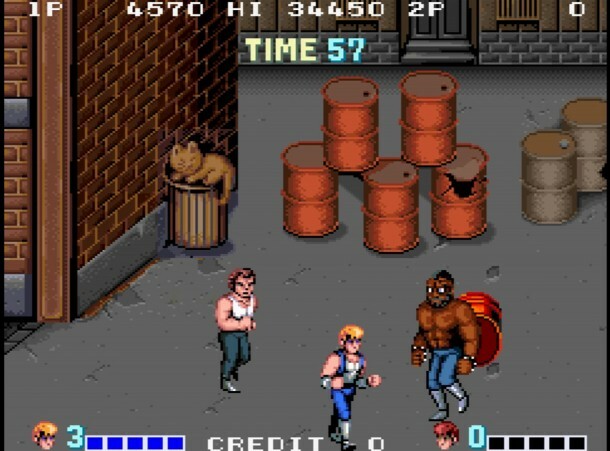 If all classic beat ‘em up games owed their existence to one supreme game, Double Dragon Trilogy would most certainly qualify for the distinction. 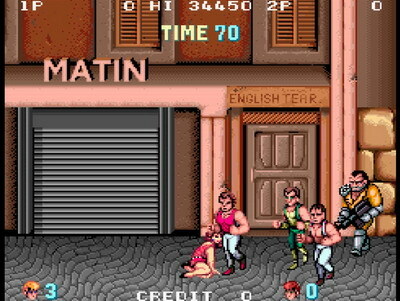 Developers and publishers DotEmu who are known for taking classic retro games and giving it a modern touch have just confirmed that the popular 80’s arcade series will be making its Android debut before the end of this year. The games that make up the trilogy are Double Dragon, Double Dragon 2: The Revenge, and Double Dragon 3: The Rosetta Stone. The game starts off with two martial arts experts Billy and his brother Jimmy going on a mission to rescue Billy’s girl Marian who has been kidnapped by the Black Shadows Gang. 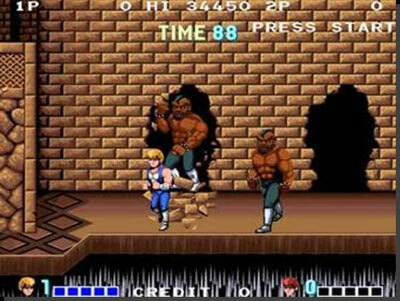 Players will experience much of the features found in the original and that includes all the classic beat ‘em up punches, kicks, head-butts and every type of non-street weapons. The game will have an Arcade mode where players can vie for the top scores by going start to finish; as well as a Story mode for those who prefer to go one stage and achievement at a time. Integration with Google Play Services will make sharing achievements and fighting for leaderboard glory much more easier and fun. Players will also be able to connect via Bluetooth for two player co-op mode gameplay. As far as difficulty levels go, there’s one designed exclusively for mobiles, but players can also go in for the slightly difficult arcade version or the absolutely challenging expert level. And just like any game that’s ported onto Android, there will be customizable controls and options to go for the 8-bit original soundtrack or the remastered version. DotEmu have also promised fans that Double Dragon trilogy will be compatible with most Android controllers. Now that we know that the game will come with some really fun features, its only a question of waiting for the game to land on the Play Store. Since we’re only two months away from the end of the year, our wait may not be too long. Keep watching this space for more information and updates as it emerges.